You don't need to go to the Spa with this lovely combination. Coco Shine is specifically designed to restore your hair's natural shine and structure. Packed with all kinds of naturally occurring essential oils, this hair mask will help to restore your luscious locks and leave you with confidence in your mane. 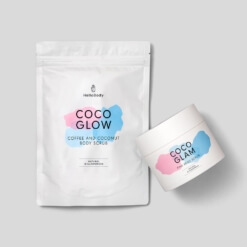 Our Coco Clear mud mask contains all the ingredients you need to draw out deep-dwelling toxins that may be lurking in your skin. 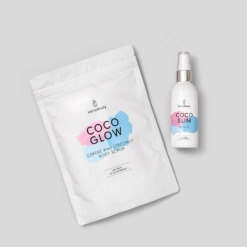 Coco Shine Hair Mask – Everyday exposure to the elements and over using chemically based hair products can seriously damage your hair, making it dull, dry and prone to breakage. 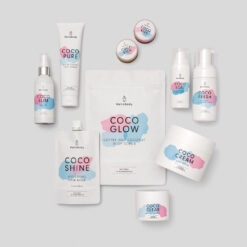 Coco Shine is designed to restore your hair’s natural shine and structure. Packed with all kinds of natural essential oils, this hair mask will bring your luscious locks back to life and shining bright like a diamond. 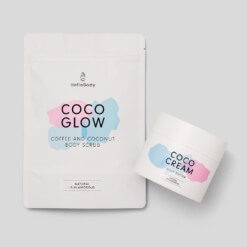 Coco Clear Mud Detox Mask – contains all the ingredients you need to draw out deep-dwelling toxins in your skin. Heilmoor clay is a type of mud rich in nutrients found in Austria with incredible therapeutic and detoxifying properties.